When I discovered I was pregnant I was adamant I wasn't buying anything before I reached 32 weeks, as last time we'd got as far as buying a beautiful crib and a travel system and they ended up never getting used. However, I recently decided maybe I ought to start preparing a little bit and so we started browsing for moses baskets. Initially we decided we wanted a cocoon type moses basket, but at around £100 for one plus a stand, this seemed a bit excessive when they're only used for such a short amount of time. I'm not being a tight wad, but seriously £100 for a bed that'll be used for a few weeks is daft, no matter how cute it looks. So it was back to the drawing board, and we had a look in the usual; Babies R Us, Mamas & Papas and Mothercare. 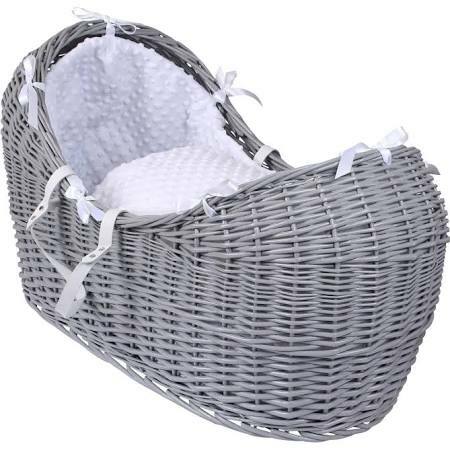 Mr Jones stumbled across a moses basket on Kiddicare that was £9.99! This is now selling at £19.99, Kiddicare have told us that the previous price was a special offer. We decided it was worth a gamble and got it ordered and it arrived a few days later. I was pleasantly surprised when it arrived, it honestly looks no different to those that are four or five times the price. Add on a folding moses basket stand at £14.99 and you're sorted! 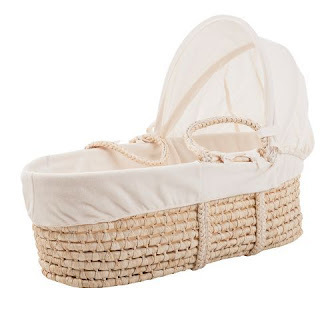 What I like about the basket is it has a fleece lining rather than the frilly and fussy covers that a lot of moses baskets seem to come with. It's cream so is neutral, and has a simple waffle hood and matching cover with a simple design on it. It seems no less robust or inferior than a more expensive basket. The basket has since gone up in price, so worth keeping an eye on prices before ordering, but even at £19.99 is still an absolute bargain as other moses baskets sell for much more , and if you're spending £50 or more then delivery is free (mind you, we only paid £2.99). If you don't mind ruffles, then there is also a moses basket with a white lining for £15.00.